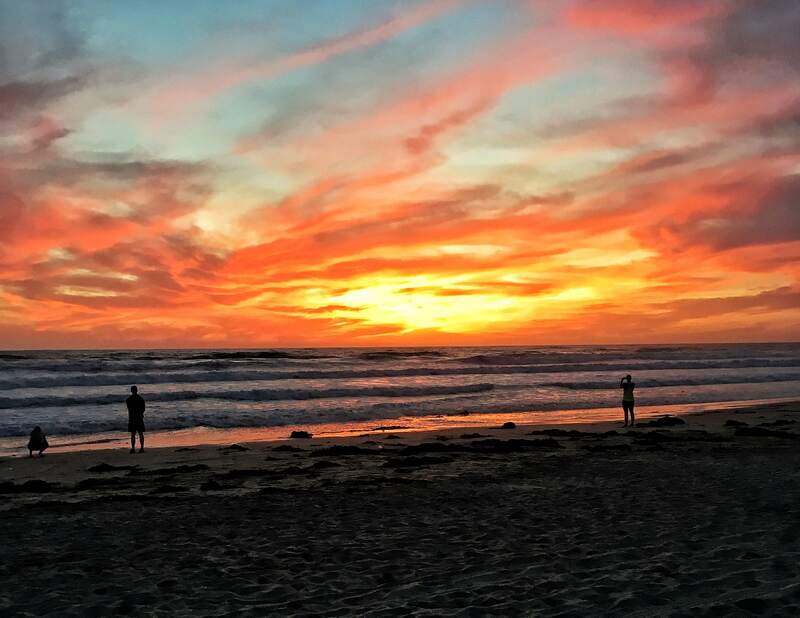 Our DITA NA 2017 Conference Wrap-up! This year’s conference set lots of firsts for Componize. 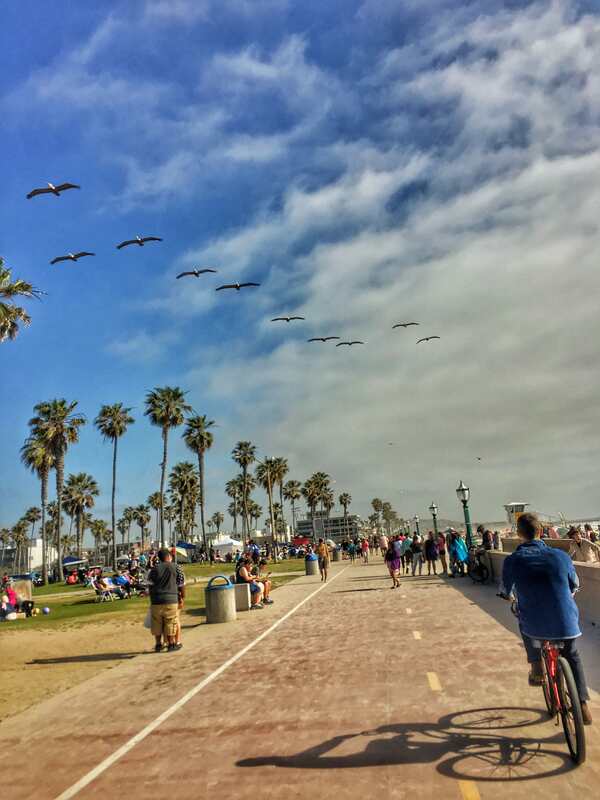 To start off, this was Componize’s first time in beautiful, sunny San Diego, where our CEO and CTO took advantage of the beachside location with a nice bike ride. We also unveiled our new branded look for the conference! 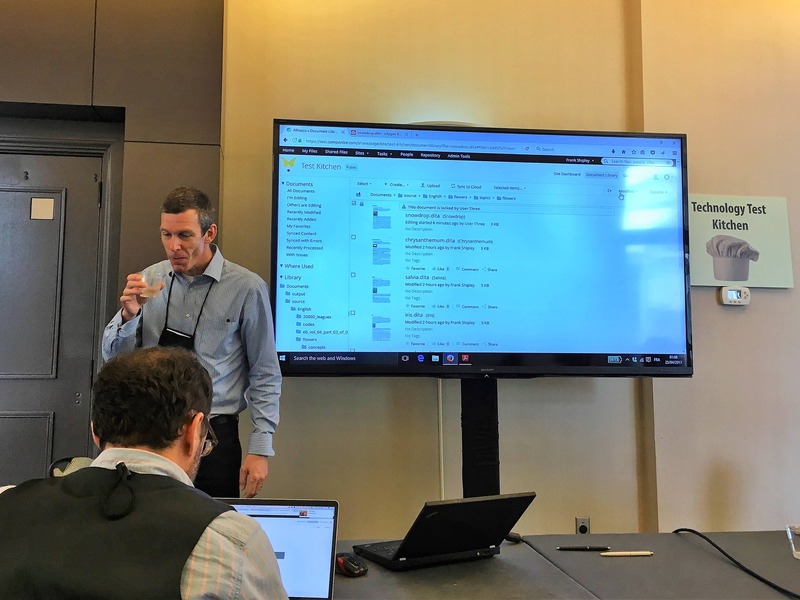 Another first was our participation in the Test Kitchen, where we had the pleasure of watching participants use Componize DITA CMS and the oXygen Web Author editor to look for clues buried in thousands of pages of DITA content. 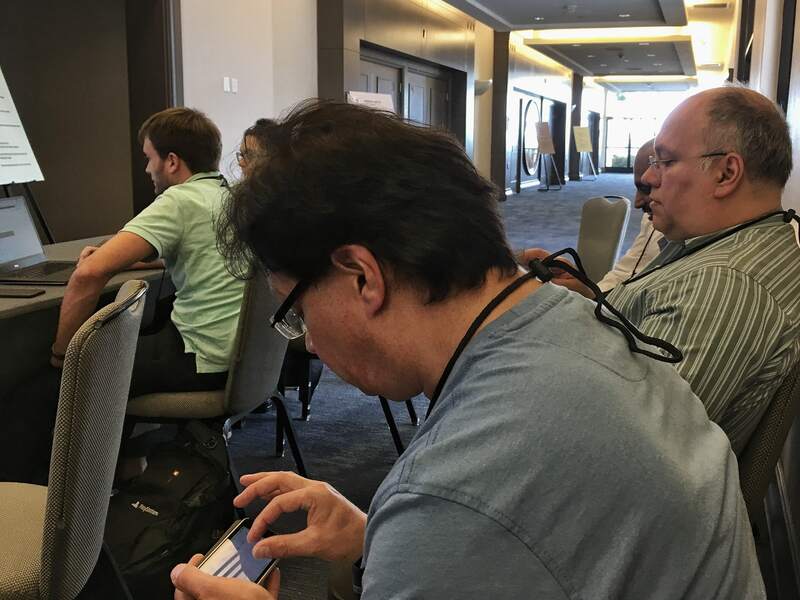 As one of the few DITA CMS that has a modern architecture based on web technologies, we were thrilled to see people naturally use their mobile phones to access content, a promising sign for DITA! It was a very close race but the eventual winner, Karen Rudish from Tweddle took home a free year of Componize-on-Demand. Componize DITA CMS search… from mobile phones. It was also BARBRI‘s (one of the US’ leading Bar review provider) first time at the conference. 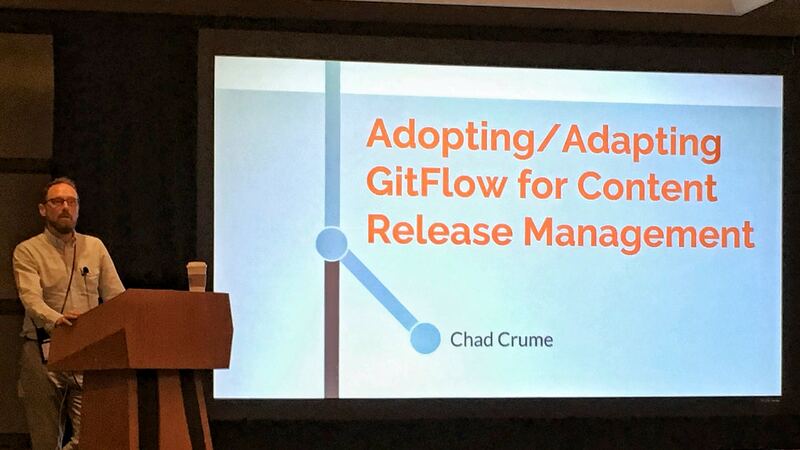 Chad Crume, Director of Content Management, gave a thoughtful and very informative presentation on how they were able to adopt GitFlow for content release management thanks to Componize’s Release Management. GitFlow is a branching model for Git that has attracted a lot of attention because it is very well suited to collaboration and scaling the development team. Chad successfully adapted this strategy to the collaborative production of educational content at BARBRI. 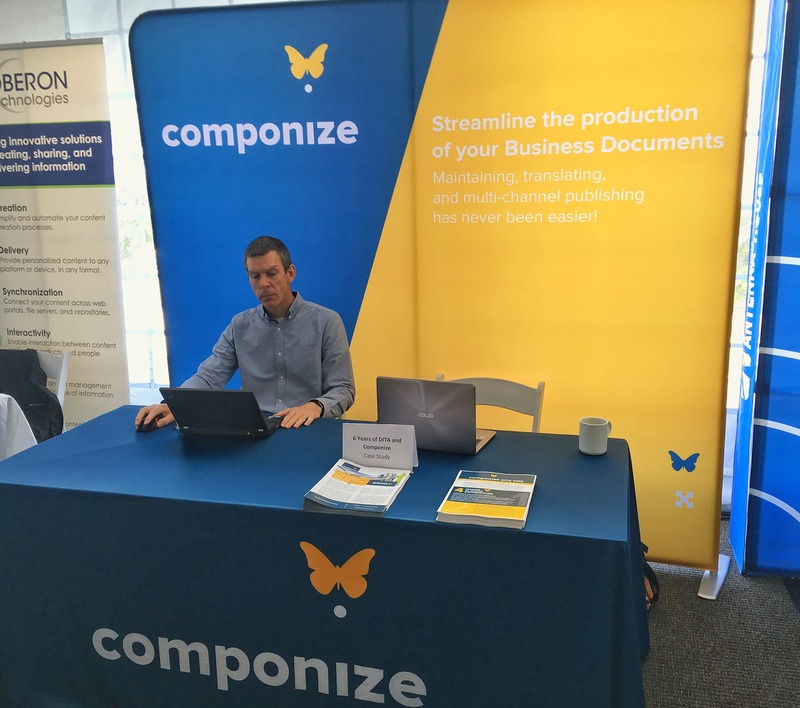 Luckily for BARBRI, Componize is currently the only DITA CMS that allows to successfully implement such a strategy, and control your DITA content life cycle with branch and merge. We are thrilled to have participated in an amazing conference and we hope to see you next year!